Worried about your pets or your house? Here's why you should choose us! We're a couple of thirties going to forties. 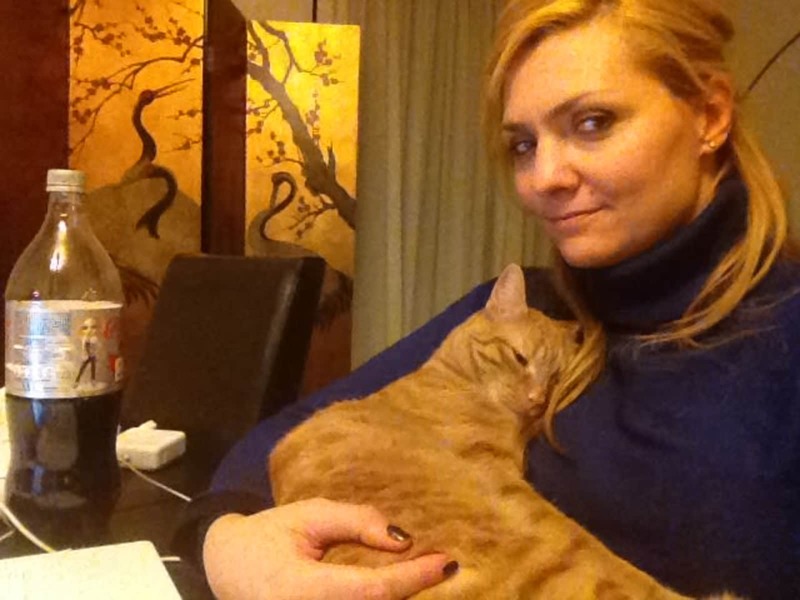 Why you should choose us as your house or (better) pet sitter? Here's some reasons! 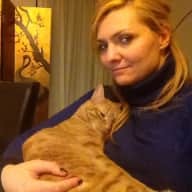 - I'm a journalist and I write for a national newspaper here in Italy, but in my child's dreams there was a future as an animal behaviorist (you know, like Jackson Galaxy, the cat whisperer) and i'm totally in love with all kinds of pets. - we are the happy parents of two beloved cats, and we totally understand that you want to be informed day by day, morning and night, cause i want it too, when i'm out. - we're the perfect combination, because if i'm the ideal stepmother of cats, dogs, rabbits (etc), Carlo, my fiancé, has an incredible green thumb. - We love to live in a clean and comfy environment, so, we'd treat your house with the same respect as we treat our. what else? Do you have any questions? Please contact me, let's have a chat! In the last 15 years we've travelled all around the world. We're looking for a different experience now, more citizen oriented. We'd like to try to live like locals of different countries do. Having travelled so much, we now enjoy a more calm way of life. Less places to discover more lifestyle to test. In this new chapter of our lives, being an house and (more than this) a pet sitter is the icing on the cake. I've always loved animals. As lot of children dream, in my early years I wanted to be a vet, more precisely a behavioralist. Here in Italy though, you have to gain a degree in veterinary before starting your career as a behavioralist, and i totally couldn't stand things like surgery. Because of this i've studied ton of books about animal behavior, most of all to guarantee the best life possible to my furry babies. We love to spend as much time as we can with our pets, and being out even for holidays without them is kind of hard to us, so, we thought that taking care of other friends around the world could be a good (pet) therapy to defeat melancholy. In addition to this, as i wrote, I'm a journalist, and in my desires there's a future as a reporter for an english writing newspaper. I totally need to improve my language skills, and traveling and living like a local is the best way to do it. We're used to house sit our friends flats. I usually go checking their homes, watering plants, organizing their mail (eventually their emails, too). Even if i don't have a dog (yet), i'm the lucky pet sitter of a lot of four legged friends, like the extremely festive Marvel, the golden retriver of one of my ex volleyball mate when she's out, and of Heidy the apparently stuffed pet of Samantha, my bf. I can totally relate to them respecting their different needs. DONATELLA took care of Lilly, our three years old Golden retriever, during the last Christmas holidays. I consider Donatella a very reliable person because when we came back, Lilly was happy as usual and it was obvious that she had been well fed and taken care of. My neighbors told me she cuddled and played with my pet as a good dog sitter should. My house was in good order too, so it all turned out a fantastic experience and we certainly want Donatella back when we leave again.